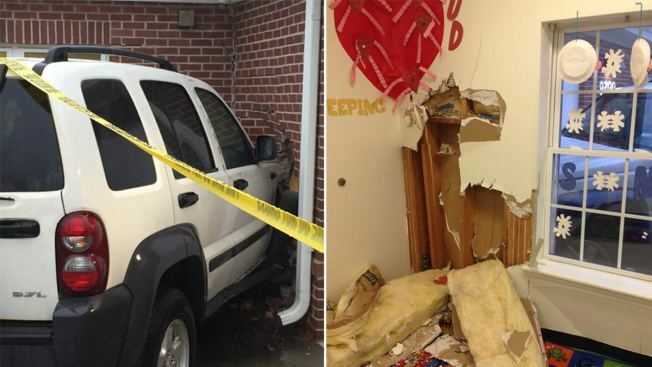 An SUV crashed into the wall of a Maryland daycare center Tuesday morning. The driver was injured, but no children were hurt. The SUV crashed around 7:30 a.m. into the Rising Generations Early Learning Center, located in the 9700 block of Prince Place in Largo, authorities said. There were no children in the room where the SUV hit, said Prince George's County Fire Chief Marc Bashoor. The children are going home, he said. The SUV driver was taken to a hospital with non-life-threatening injuries.